My daughter loves puzzles. I usually pick one up each time I go to the dollar store. In order to keep the puzzle pieces together, I mark the backs with different shapes, stamps, dots, etc. I mark each piece to a puzzle with it's own distinct marking. 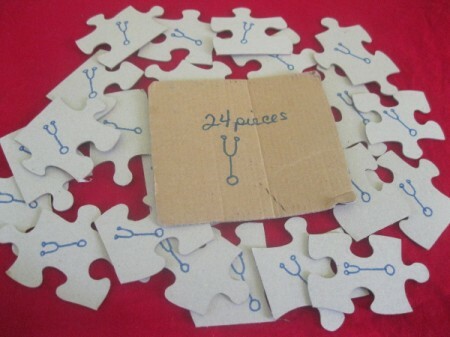 Then, I put the same mark on the back of the picture, as well as the amount of pieces to the puzzle. 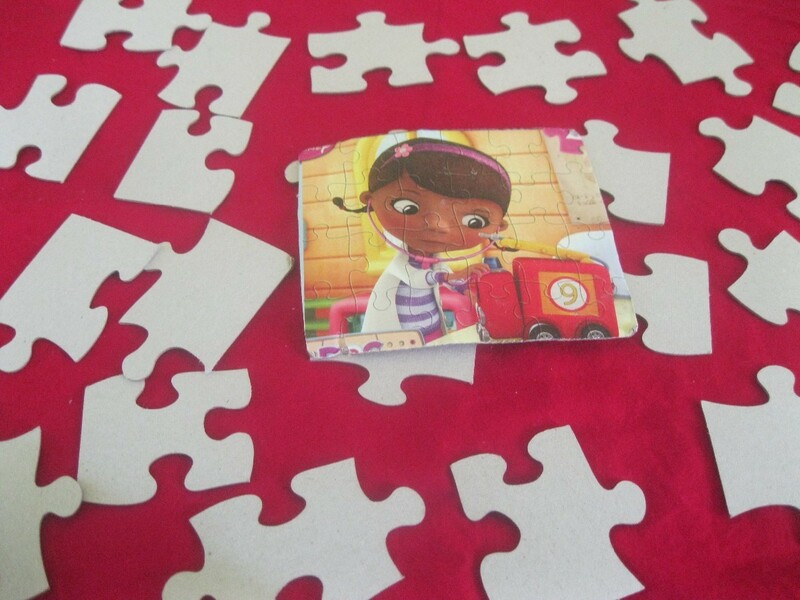 (Because we have so many puzzles, I cut out the picture and put it in a baggie with all the pieces, to save room). When you find a random puzzle piece that has fallen under the couch (or wherever! ), just find the matching bag or box. This has saved me a lot of time when I need to find what puzzle the piece belongs to. On this puzzle, I drew a stethoscope for Doc McStuffins. Source: My friend, Arlyn, who marks her puzzles with letters. This is a wonderful and practical idea! You could use colors, too, and it wouldn't take so much time. Markers, I mean. Like a blue plus or pink circle. Easier than a complicated symbol. Considering that puzzles do take up a lot of space, you might think about limiting the amount of puzzles to a certain number and donating older ones after that.